The Jousting Life: Female Jouster, Sarah Hay, Wins "Full Tilt International Jousting Tournament 2012"
Female Jouster, Sarah Hay, Wins "Full Tilt International Jousting Tournament 2012"
The "Full Tilt International Jousting Tournament" was held this past weekend in Australia as part of the "Royal Bathurst Show". The tournament was the first official tournament of the newly formed Professional Jousting League (PJL) and was hosted by Full Tilt Jousting led by Rod Walker (the coach of the black team from "Full Metal Jousting"). 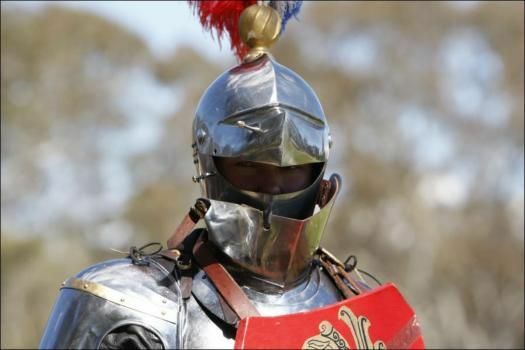 It served both as an international jousting tournament and as the Australian national championship tournament. Female jouster Sarah Hay won both aspects of the tournament. Sarah Hay is an experienced horsewoman who lives on a farm in the outskirts of Sydney where she looks after a team of eleven horses. She has participated in a variety of equestrian activities, but has lately decided to focus on jousting and mounted archery. 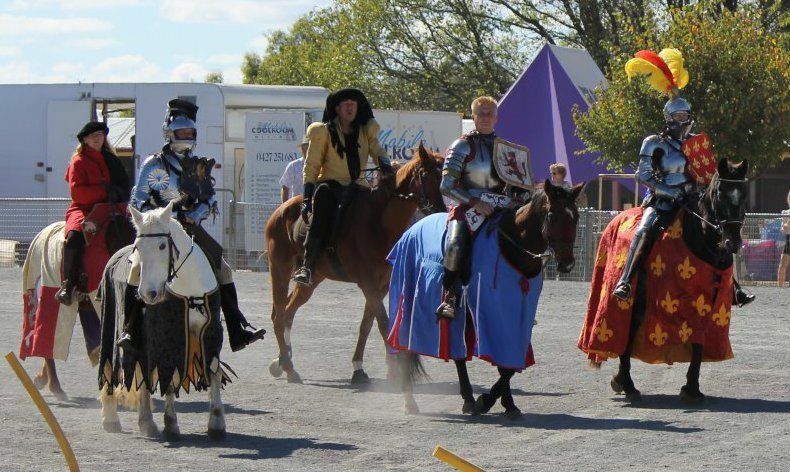 Sarah, who is only 5'6" tall and 140 lbs, has been competing in international jousting tournaments for two years. During the "Full Tilt International Jousting Tournament", Sarah was competing against men and women from both the United States and Australia. One of her competitors was FMJ assistant coach for the black team, American Jeremy Oneail, who "has won over a dozen tournaments in six different countries. 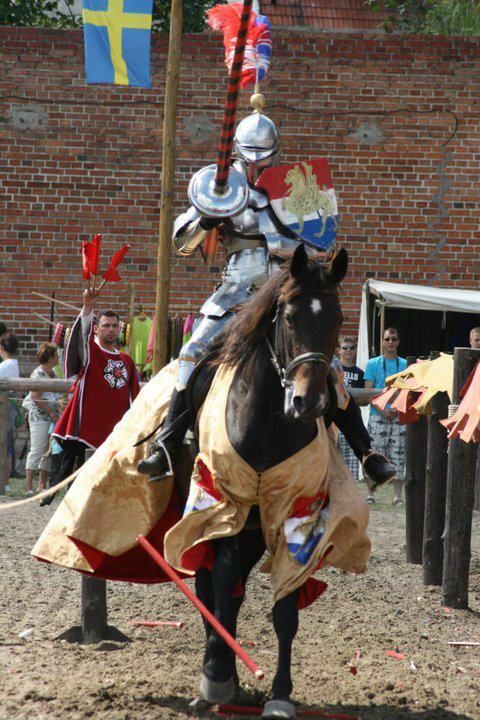 Since learning how to joust, Jeremy has competed and placed in more overseas jousting competitions that any other American jouster." The list of competitors who participated in this year's "Full Tilt International Jousting Tournament" included: Andrew McKinnon (Australia), Fiona Williams (Australia), Jeremy Oneail (USA), Katrina Kruse (Australia), Phillip Oliver (Australia), Robbie Hubbard (USA), Sarah Hay (Australia) and possibly a few others. This was not the first jousting tournament that Sarah has won(she has won at least six others), and probably won't be the last. At her next tournament during the weekend of May 11 - 13, she will be one of twelve women competing in "Lysts on the Lake" which takes place in Taylor, Texas, USA. She will be facing a total of 45 competitors from 6 different countries. 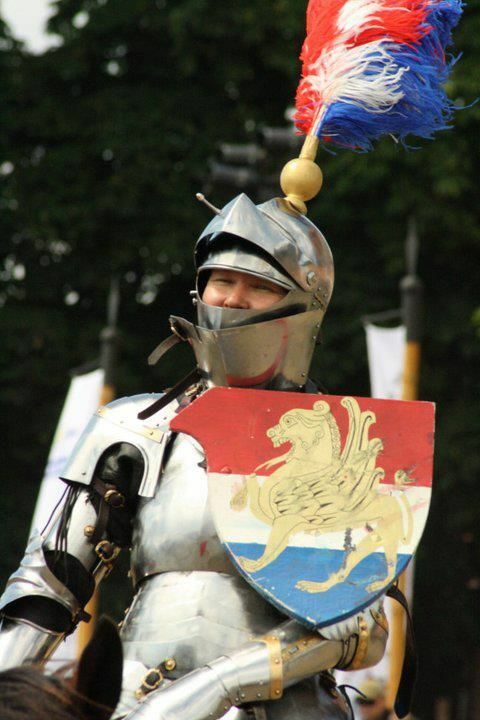 This will be the largest tournament that she has ever competed in -- as it will be the largest competitive jousting tournament held in modern times according to the International Jousting League. With so many women competing, and the distinct possibility of a woman winning this and/or other upcoming tournaments, it seems like competitive jousting, which was previously perceived as a purely masculine sport, may be changing to include a few more feminine faces.